TAMPA – It was a busy twenty-six minutes on Saturday night for Nashville SC forward Ropapa Mensah. Coming on as a substitute midway through the second half, Mensah provided an assist and a goal, leading Nashville to a 2-0 win. For his efforts, Mensah was named to the USL Championship Team of the Week bench for Week 6. In addition to the goal and assist, Mensah took two shots and created one chance. The goal and assist were the first for Mensah in 2019 after posting six goals and six assists in league play last season. 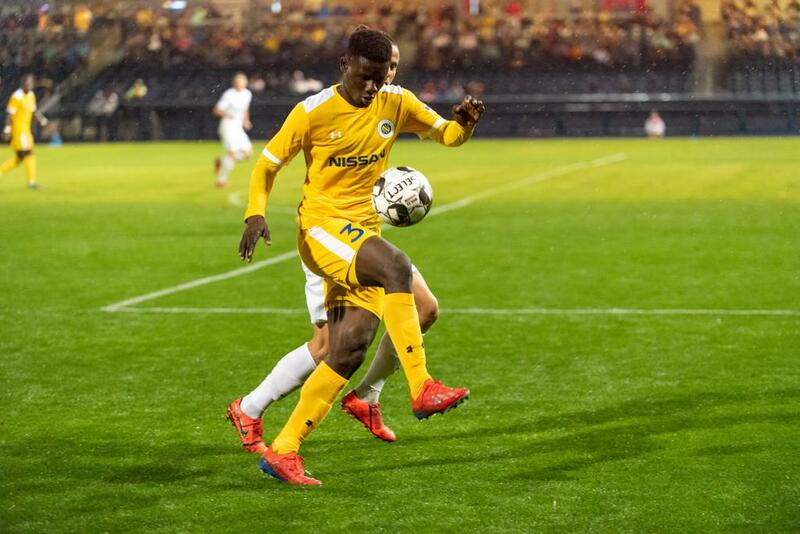 The Ghanaian forward is a rostered Nashville SC player in 2019 following a season-long loan in 2018 from Inter Allies FC in Ghana. Mensah makes four Nashville SC players to be honored as a member of a Team of the Week, joining Matt LaGrassa (Week 1 bench), Ken Tribbett (Week 3) and Daniel Rios (Week 5). Nashville has had a representative on four of the six Teams of the Week so far this season.